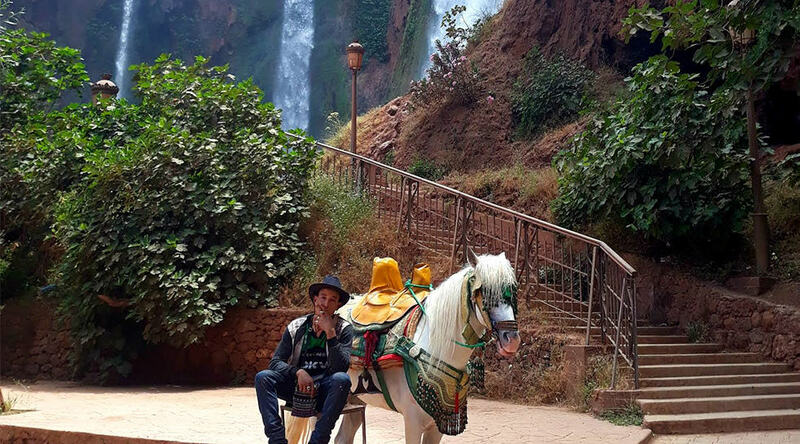 For a relaxing day trip away from Marrakesh, the picturesque Ouzoud Waterfalls offer a stunning escape. 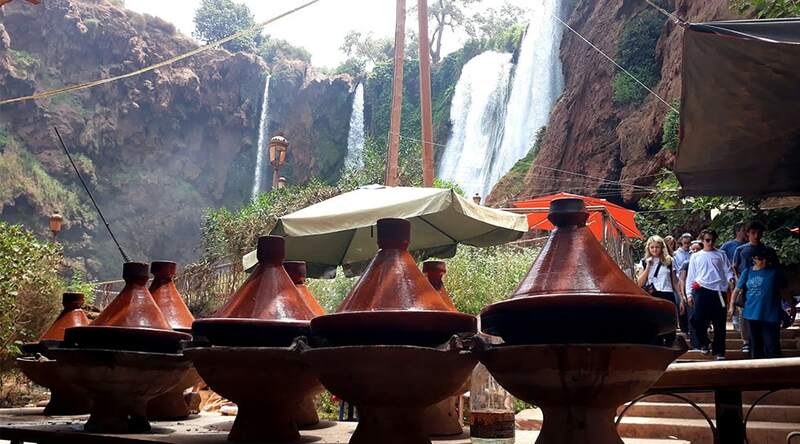 The 110 metre cascades are the main attraction for tourists and locals. You can sit back and admire the scenery. 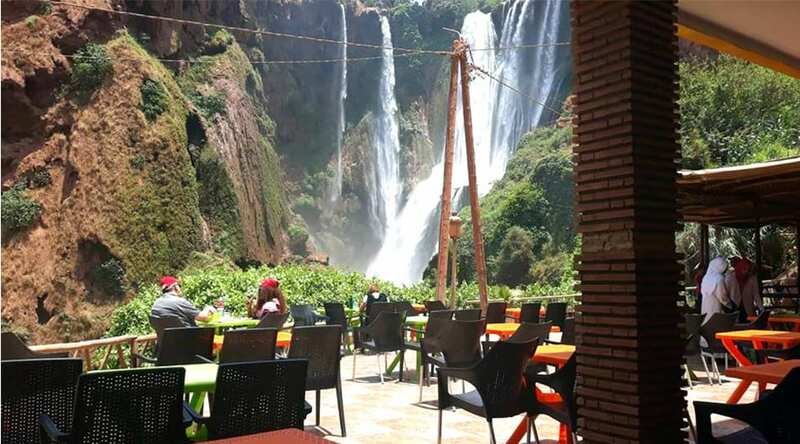 You will enjoy lunch at a restaurant that overlooks the falls. If you are feeling adventurous, you may wish to hike by yourself or with a local guide and visit the caves that house the watermills. 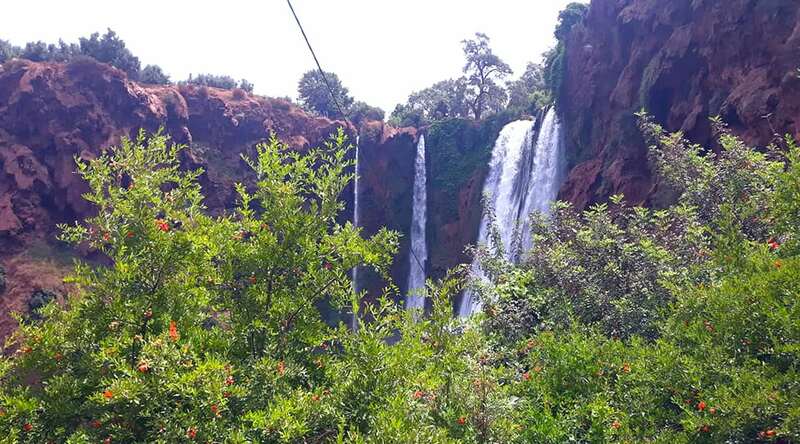 You may also wish to swim in the Al Abid River or take a thrilling boat ride for a closer look at the waterfalls. 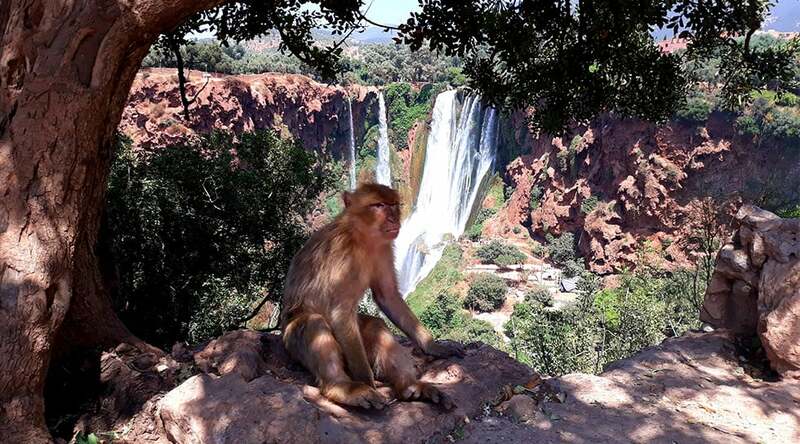 There is no doubt that the views of the Grand Atlas will impress you and if you are an animal lover, you will delight in taking pictures of charming Barbary monkeys in trees that overlook the cascades. 08:30am departure from your hotel. Watch Barbary monkeys as they play and relax. 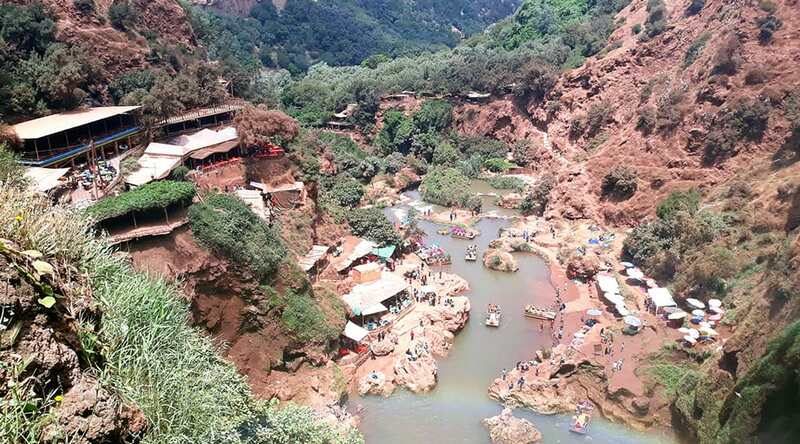 Enjoy beautiful views of the Atlas Mountains. Hike by yourselves or with a local guide to view the waterfalls up close. Take a boat ride into the waterfalls. Swim in the calm waters of the Al Abid River. Relax for lunch at a restaurant by the falls. 15:00 departure back to Marrakesh.